There is hardly any other application in water hydraulics in which water is exposed to such high mechanical loads as in waterjet cutting. 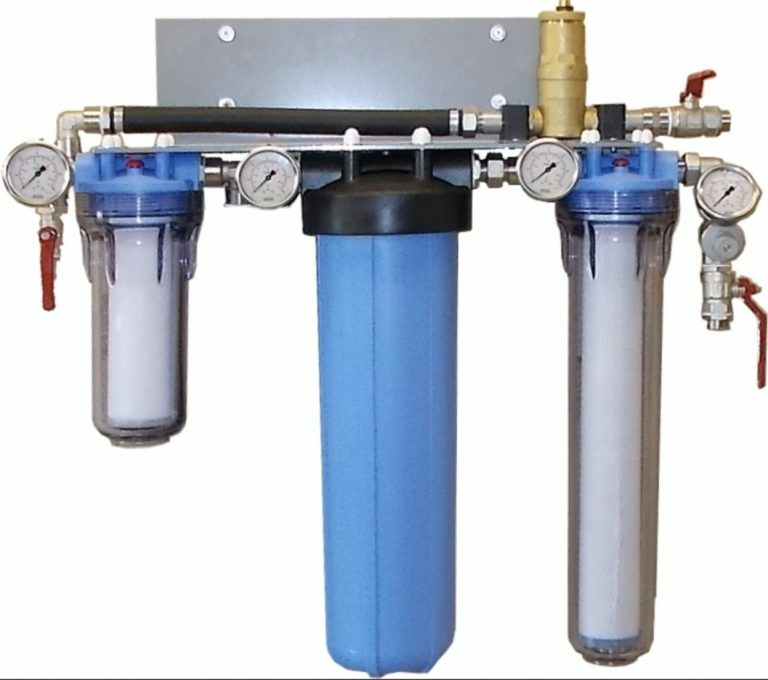 At pressures above 4000 bar and flow rates of several speeds, defects in water quality are directly noticeable by reducing the service life of seals and nozzles, damaged valves and cylinders, deposits on control valves and even bursting pipes. It is therefore particularly important in waterjet cutting to meet the requirements for cutting water quality that is as neutral and low in salt as possible. Optimized water quality leads directly to cost savings through reduced component wear and, as a direct result, less downtime. The combination of filters and filter materials removes not only - like conventional filters - solids up to 1μm. WodaCode also removes chlorine, which is commonly used for disinfecting pipelines and seals immediately destroys seals. It also modifies and removes dissolved iron and other metals or corrosion products from the pipes, resulting in ever-increasing layers that destroy check valves and seals. The catalytic granulate forces the carbon dioxide dissolved in the water to outgas, whereby the hardness remains firmly bound in calcite clusters. 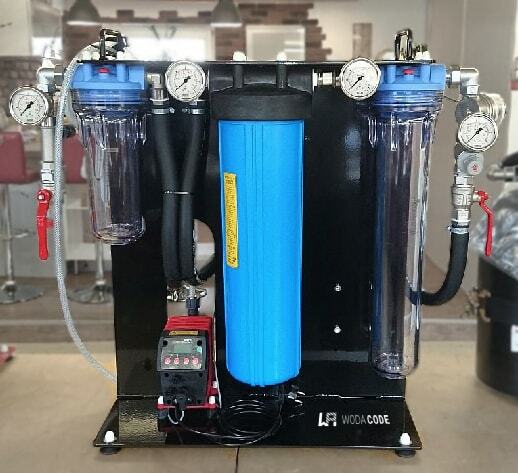 This procedure has two advantages: It reduces the carbon dioxide content, which damages the high-pressure systems through cavitation, and it binds calcium carbonate, which would otherwise lead to calcium deposits on cylinders and valves.